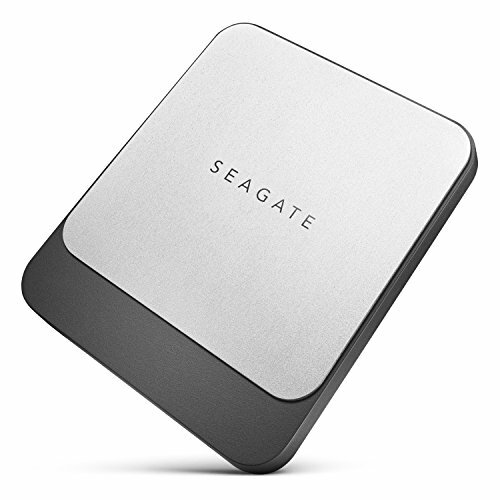 The Seagate Fast SSD is perfect for personal, on-the-go storage. This lightweight and stylish external SSD can protect up to 1TB of your favorite photos, videos and must-have files. Plus, the fully reversible USB-C cable means hassle-free connectivity with an ever-increasing number of USB-C compatible devices. Fast SSD also has some of the fastest read/write speeds around - up to 540/500 MB/s. Be sure to take advantage of the folder syncing feature which monitors a target folder for any file additions, deletions or modifications.